Peter Bridgman is a Senior Associate of The Ethicos Group Pty Ltd. He is a barrister and holds qualifications in Psychology, Mediation and Training and Assessment. Peter had a long career as a senior public servant in management, policy and legal roles including as Cabinet Secretary, head of Arts Queensland, Deputy Director-General of the Queensland Department of the Premier and Cabinet, and Deputy Director-General of the Department of Education. As the author or lead policy manager, Peter was responsible for a large number of major Queensland statutes and programs in areas as diverse as corrections, the law, natural resources, primary industries and child protection. He is also the co-author of the leading textbook The Australian Policy Handbook, and has written and consulted widely in public policy, public sector ethics, the law, public administration and writing skills. 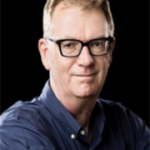 Peter is currently a sessional member of the Queensland Civil and Administrative Tribunal and a Director of Grain Producers Australia Ltd, as well as being active as a barrister in private practice and consultant in public policy, integrity and governance.